It was once seen as almost impossible; something that most of us wouldn’t dream of. Most of us knew that the only option to go on holiday revolved around putting our dog in kennels or asking a friend or relative to look after him. However, the situation has turned on its head over the past few years. Most major hotel chains are more than happy to accept pets in their establishments – with most of these fully aware that some pet owners wouldn’t consider going anywhere without their canine friend. Of course, even though hotels might be adapting, it doesn’t mean to say that everything else has been done for you. It doesn’t matter if you are venturing on a road trip for a day, staying over in a hotel or visiting family – you need to prepare adequately. 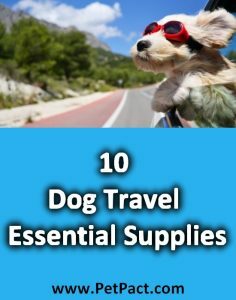 The remainder of this article will now look at ten items that you must take with you to keep things as hassle free as possible when you travel with your dog. This first essential will usually apply to those pets that are travelling abroad and if you are about to pass through the UK borders, you will require a copy of his health records and rabies vaccination certificate. You will also need to present a pet passport (yes, such a document does exist!) and just like humans, your pet will not be allowed to cross the border if this is not displayed. Additionally, if disaster did strike and your pet did require a trip to a different veterinarian, it goes without saying that having their health documents on hand is going to be extremely useful regardless. As you can see, there are a whole host of different documents required. 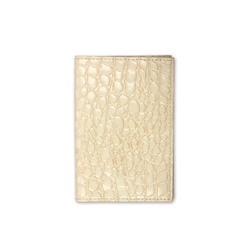 It’s for this reason that some form of case is always advisable, with the Leather Effect Pet Passport Holder from Pets Pyjamas at least allowing you to carry everything in style. Hopefully, this is something that is already high on your agenda. We shouldn’t need to remind you that just because your dog has left the country temporarily, it doesn’t mean to say that their thirst goes away. Particularly in long journeys, where cars can get a little stuffy, a water bottle is an absolutely essential item. 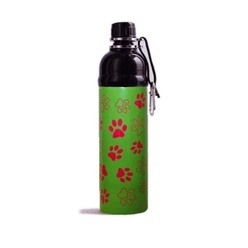 If you can get hold of one like the Green Paws 750ml bottle, you’ll be able to put in sufficient amounts of liquid for those long journeys as well as being safe in the knowledge that it won’t leak. This is another one of those items that might cause a few raised eyebrows, and possibly fits of laughter. However, dog car harnesses are no laughing matter and if you are serious about safely transporting your pet on the UK roads, one of these is essential. There might not be any laws telling us that our dog has to wear a seatbelt, but the safety principles remain the same and he will be much more protected in case of an accident. The Tru Fit Harness from Pets Pyjamas does not cause any discomfort to your dog during the journey, and the fact it just slips over their head means that you can go from A-B without much hassle. We’re not trying to make your dog the king of the red carpet here, honest. As much as some owners love to dress their pet up, that’s not our aim here. A cooling bandana might make your dog look the part, but the way in which the technology works means that it can regulate his temperature and prevent overheating. Again, in car journeys, this can be crucially important. 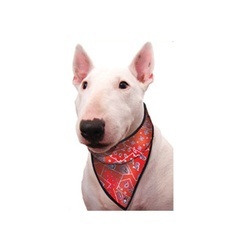 The Dog Cooling Bandana not only arrives in three colours, but is usable in minutes. 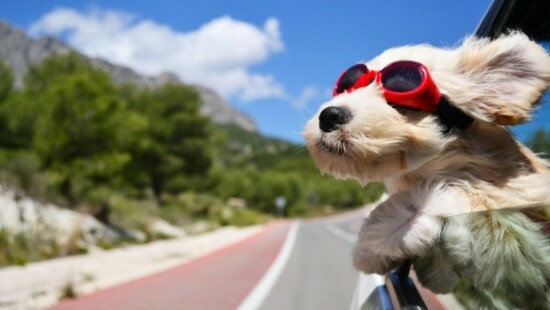 By dipping the item in cold water, it will be able to treat and prevent any heat-related issues that your dog struggles with on your journey. If you happen to own a German Shepherd or Akita this might not be the item for you, but anyone with a small breed will be able to make their trip all the more stylish with a specialist pet carrier bag. 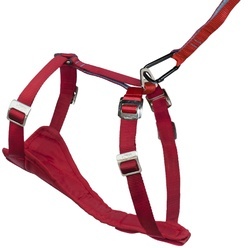 As the name suggests, they’re designed to carry pets in whilst still looking like that traditional handbag. The Chic Pink Pet Carrier Bag is one of the more stylish on the market and while it may look like your normal, designer handbag, it is padded inside to allow your dog to benefit from maximum comfort as they are being transported. The previous suggestion might be a novelty for some owners, but this next one certainly isn’t. Even though some dogs rarely use a leash at home, when they are placed in a foreign environment with new scents it can be a good idea to change the approach. Additionally, while you might not have any such laws at home, if you venture to another area you might find that local rules dictate that your dog must be leashed whilst walking across certain parks. 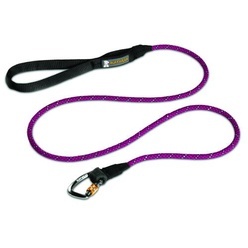 One recommended product is the Knot a Leash, which is significantly stronger than most rivals as it is constructed from climbing rope, while it has a secure locking carabiner as well. Chances are, if you are taking your dog away with you, you will embark on some exciting walks. Unfortunately the “exciting” element usually brings lots of mud – and this inevitably finds its way into your car. If it’s not dirt, its hairs, and these are even more difficult to extract from your vehicle’s upholstery. Fortunately, fitted dog seat covers for cars are now available – for both the front and back. 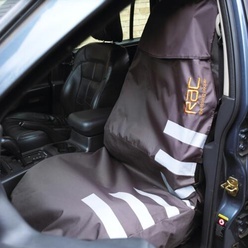 The former can be covered through the RAC Front Seat Car Cover, with this also proving to be waterproof and scratch resistant. 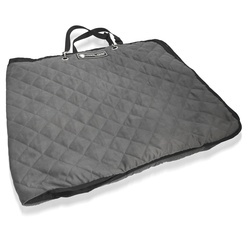 For those looking to cover the whole back seat area, look no further than the Cool Dog Luxury Car Seat Cover, which is able to fit all cars. Dog’s need their home comforts – even when they’re on the road. Particularly if you are in an emergency and need your dog to desperately follow a command, a treat certainly won’t go amiss. 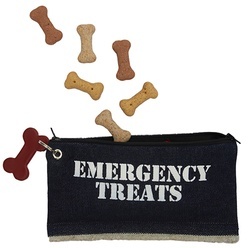 The Fogle and Pole Emergency Treats Pouch can give you access to those treats instantaneously and the fact it looks like a make-up pouch just adds to the charm. Of course, treats don’t always cut it. 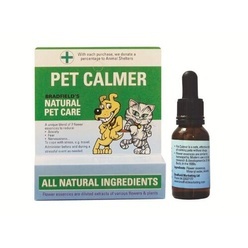 It’s here that pet calmers can come into play, such as the Travel Pet Calmer from Bradfields. Just like we take medication to calm our nerves prior to travelling, the same can occur with dogs. The difference here is that this is free of any drugs, meaning that there is no danger of an overdose. 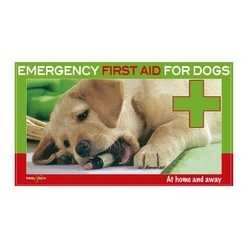 On the subject of medical supplies, a dog first aid kit is another essential item. Few pet owners happen to be qualified vets, but when it comes to patching up a paw or any other minor issue it’s good to be equipped. It’s also an idea to know how to perform some of the basic medical tasks, with this Emergency First Aid book for dogs from Hubble & Hattie showing exactly how to achieve this. We recommended water before, and now we’ll try and make things even easier with a collapsible bowl. Combine this with a water bottle and watch those pants on the way home become relieved instantaneously. 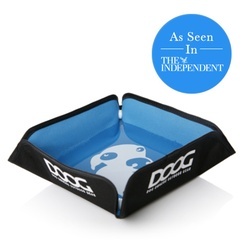 This foldable bowl from Doog can tuck into any small space, making it ideal for journeys of all lengths. Do not change your dog food regime while travelling. If you are using the recommended pure dehydrated dog food, you can buy the small travel packs for your journey.